There is something quite fantastic happening in the world of coffee and as you all know me and the man are quite the coffee drinkers, we have our own album on Facebook for our coffee moments. However I am not a coffee master, I drink mine weak with plenty of milk, so I decided to let the piece be written by my Contributor Will. Here is what he has to say about news in coffee. Enjoy the read. Now I don’t need any persuasion when it comes to a good cup of coffee.Even though we live in a tea-driven and tea-inspired, high-tea drinking country, a good cup of coffee sure gets a lot of use going in the morning. I admit, I’m one of those fast paced, on the go, take-away drinking multi tasking coffee addict. Starbucks addict to be exact. So many of us rush in and rush out of S branches which are so easy to find! (Except at Euston station in London though 😦 With all our rushing around, when last did we sit down, cherish, smell, drink and taste the coffee that’s been brewed for us? This brings me to what Starbucks has to offer. Aged Sulawesi Kalosi comes from 12 farmers located in South Sulawesi, grown in small family gardens and traded in the town of Kalosi, where the historic coffee trading market is located. 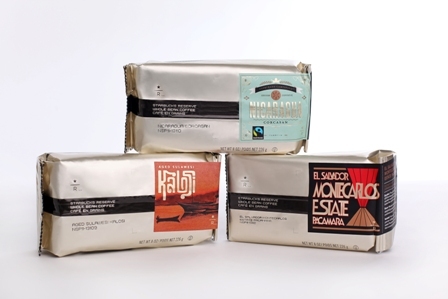 Just as aging improves wine and cheese, it also heightens the flavors of this coffee. Fairtrade Certified Nicaraguan Corcasan is produced by the Cooperativa Corcasan, a small cooperative of 250 farmers in the northern part of Nicaragua. This coffee has a burnt sugar sweetness and soft floral aromas, finishing with an herbal leaf note. 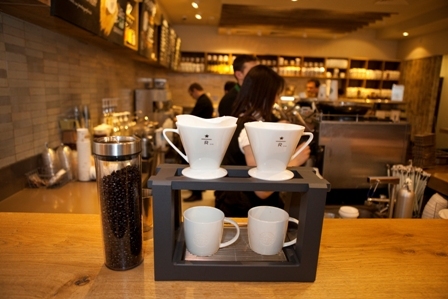 It is uniquely Fairtrade, Organic and Rainforest Alliance certified and Starbucks CAFÉ Practices verified. El Salvador Pacamara Montecarlos Estate is from the Montecarlos Estate, one of El Salvador’s premier coffee estates, uniquely surrounding an entire volcano crater. Two thirds of the estate is planted with coffee and one-third is part of a cloud forest inside the crater. This coffee gathers its distinctive flavours from soil rich in minerals and volcanic ash.(“Wow. Amazing. I was in heaven.”) Some of the words I heard at the launch. These coffees are only available in 10 stores in the uk. Very select indeed. The filter coffee will be individually brewed for you. Mini filter, just the right temperature hot water, slowly filtered. You can also experience these amazing coffee moments at Hyx in Selfridges. “Smooth, deluxe, multi dimensional, a taste to savour” Again some of the descriptions that were used. These coffees are ultra smooth and ultra luxurious. Think “best quality chocolate melting in my mouth” and apply the same to a coffee. The 3 coffees has their own best recommended foods to enjoy with them. So in a world that could perceive Starbucks as all about quick-fix and on-the-go, please do try out one of these Starbucks Reserve coffees. Wow. A “high coffee” could impress even more than “high tea”. Take a piece of the moment with you. You can buy your own bag of beans, have them ground and take them home to be savoured. The last coffee I tasted was definitely a “curl up on the couch with coffee” moment for me. So I will be brewing that at home. Mmmm. These first three new coffees aren’t just your normal cup of tea! Or coffee for that matter. Go forth, enjoy, appreciate and savour the moment of drinking a truly special blow-you-away coffee moment. Today I go as Sailor Salonen. It’s summer time, we have lost an hour and that pisses me off on a global scale. However, to counter act the new time, I thought I would cheer myself (and everyone) around me today with a t-shirt of epic scale. 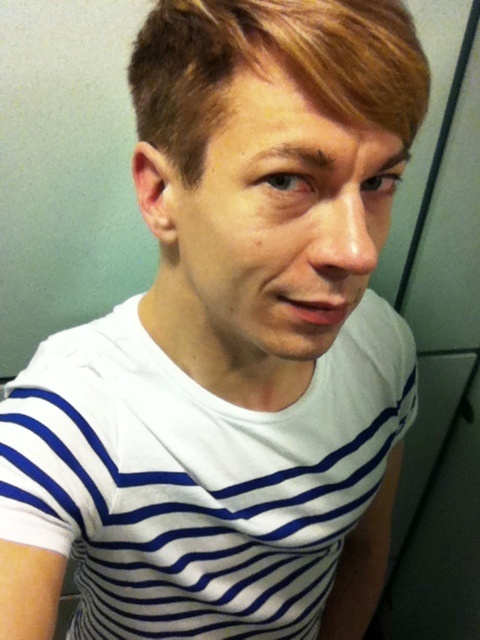 It is time to go nautical! My stripes came from good old H&M,cheap as chips and so workable. Loving the crisp whiteness and the gorgeous royal blue. The stripes finish at the shoulders, making me look much wider than I actually am. BONUS! To embrace spring and work some sailor inspired items in you look, there is only really one rule to remember. Less is definitely more in city sailor-look. If you are lucky enough to visit South of France this summer, you can go all out with nauticalness, but in the city. Keep it to one key item (like my t-shirt). I could have worn white trousers to really work it out, but I shall leave those for Cannes. Buy a scarf, belt, bag, top or a hat. Make that one item count, make it bright and bold and work it out! Sailor Salonen.